Most relationships between universities and businesses are based around collaborative research projects, and there are many ways for businesses to get involved with researchers, entrepreneurs and young talent. 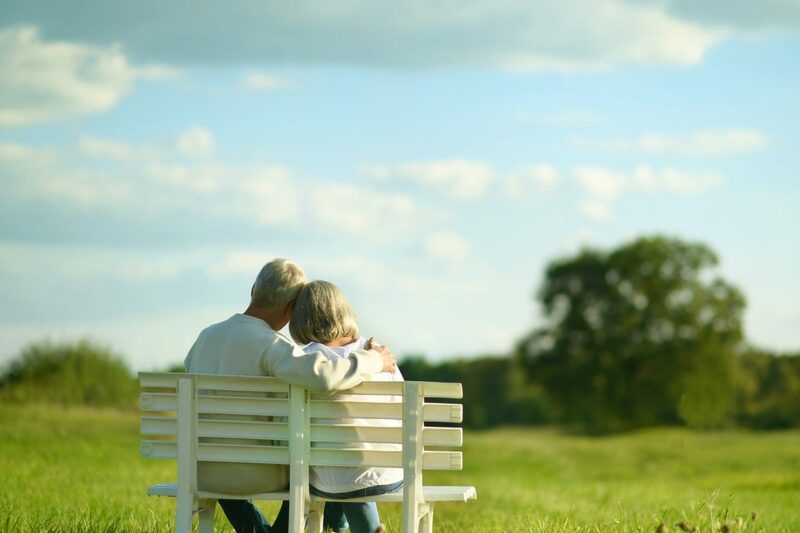 At Furncare, we believe in bringing more freedom, more enjoyment and more status to our care communities, not just for the residents but the carers and owner/managers too. By getting involved with higher education institutions, we are able to benefit from their research and in turn, they can benefit from our hands-on experiences to improve their research and the design of our ranges. In line with National Dementia Strategies, the DSDC, part of Stirling University, has developed its successful Best Practice in Dementia Care Learning Programme to help organisations in all sectors achieve national and regional care standards, which we think is a great initiative to improve standards and quality of care. Designing the future of dementia care. The future proofing of care homes, in partnership with Dementia Care Centre, Stirling University. is in all our interests. Working with imagination, care and understanding to bring dignity, style and enjoyment with our furniture and interior design that avoids those patronising design cues of years past (big buttons, bright yellow signage and red toilet seats). 1. Address the cognitive difficulties people experience as a result of dementia by creating environments and products that build on the remaining strengths and abilities that residents have. 2. Create a social environment that allows residents and staff to participate and complete care tasks together. 3. Provide a physical environment that accounts for the multiple changes that care home residents will experience as a natural part of the ageing process. 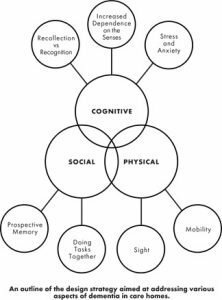 1.Cognitive: A key aspect of designing for a cognitive impairment like dementia is to build on the strengths that residents still have. Design should not just aim to support their disabilities, but utilise their remaining abilities. 2. Social: Environments should create opportunities for a good level of social interaction between staff and residents. This is important for both the well being of the residents and the job satisfaction of the staff. 3. Physical: Physical problems such as frailty, reduced mobility and significant loss of vision are common among older people living in care. Dementia can also create a lack of awareness of a person’s own physical disabilities which means that people are more at risk from causing accidents to themselves. An example of this is a resident forgetting that they may need their walking stick to safely travel down the corridor. For this reason, environments should include features that naturally compensate for physical disabilities. It is important to ensure residents are safe, empowered to use their remaining strengths and free to employ their natural sense of self control and independence. Ageing is a fact of life for all of us and yet it is often something which many of us struggle to accept. 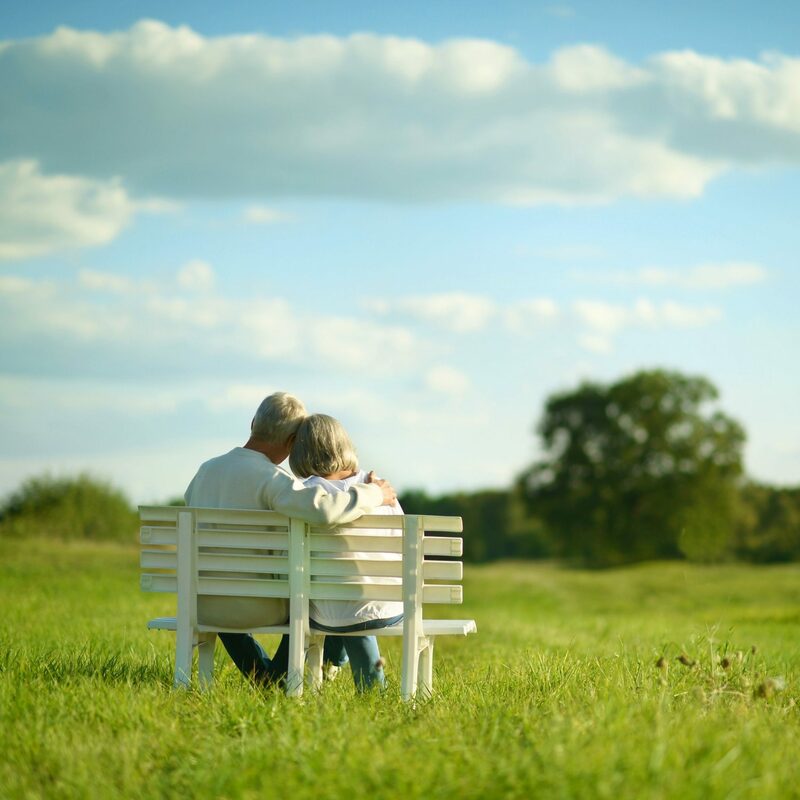 When you consider that dementia alone affects 46 million people worldwide, a number likely to grow further as life expectancy continues to increase, the need for us to improve products and environments couldn’t be more crucial. Through the use of inclusive design, we can remove many of the restrictions from our environments and products, without compromising on the beauty and functionality of designs desired in our youth. Simple considerations such as designing spaces that are accessible regardless of mobility, integrating smart technology into spaces or fitting flexible furniture to accommodate evolving needs could provide lifelong benefits. Creating interiors for better enjoyment and status is an ongoing pursuit. We are aware of the challenges and striving to empower residents with their independence. If you’d like to know more about how we are designing our furniture and room sets to respond to care home needs, please get in touch and see how our living spaces are designed to promote enjoyment, freedom and status – which we believe should be a lifelong experience.